JSS Academy of Higher Education & Research (JSSAHER) provides holistic and quality education to support the present age of momentum of knowledge and innovation, as we believe the key to success lies with diversity of knowledge, discovery of ideas and the ability to create new opportunities. JSSAHER provides a cohesive environment for advanced teaching and learning with innovative research to support the growth of excellent healthcare professionals in many disciplines. It is known nationally and internationally for its service and commitment to the society in providing affordable education and health care. The remarkable growth of the institution in a short span of time is due to; Eminent Leadership, Good Governance, Academic excellence, Experienced Faculty, National and International Student diversity, Research excellence, Infrastructure that meets the needs of the academics, research, extension and student support. The faculty and students are engaged in outreach programs and community service, which inculcate the social and professional responsibilities. Industry - Academia partnerships empowers young entrepreneurs, interaction with leading industrialists and smooth campus to corporate transition. International alumni groups help to build global networks. The research outputs with national ∫ernational collaborationshave contributed to the innovations, publications and patents related to newer drugs, therapy, treatment and medical devices. Wealth of knowledge generated through the centre of excellence of Molecular Biology, Clinical research, Pharmacovigilance and Natural Product Research help to address important societal requirements. JSSAHER combines latest technology and medical research with compassionate patient care to face the challenges of health care in present world. Major research grants, Institutional rating & ranking, Accreditation from national and international agencies reveals the quality of research and the standard of the programs offered by JSS Academy of Higher Education & Research. Dr.B. Suresh, Vice-Chancellor, JSS AHER, for the past thirty years has been actively involved in uplifting the standards of pharmacy education and profession in India. He was elected in 2003 as the President of Pharmacy Council of India, the statutory body regulating the pharmacy education and profession in India. 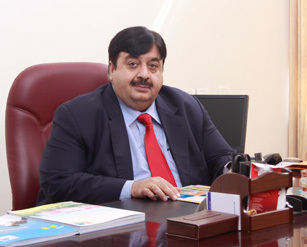 He was once again re-elected as the President of Pharmacy Council of India in August 2008 and August 2013 and has the unique honor being elected thrice to this leadership position. He is also the Chairman of the Scientific Body of Indian Pharmacopoeia Commission, which is responsible for setting of standards for pharmaceutical substances and formulations. Dr. Suresh is also the delegate member of the United States Pharmacopeia Convention and also the member of the Council of Convention of the USP. He is also the member of ACPE International Services Commission, USA . He was also the past President of Asian Association of Schools of Pharmacy, Chairman of the Education Section of the Federation of Asian Pharmaceutical Association and the Executive Member of Commonwealth Pharmaceutical Association. He had pioneered the cause of promoting “Pharmacy Practice” concept in India and has the unique honor of having introduced postgraduate programme in “Pharmacy Practice” and “Pharm D” programmes in India and continues to strive to uplift this facet of pharmacy profession by closely working with other global leaders. Dr Suresh has to his credit several national and International publications and has initiated several international collaborations through bilateral, academic and research exchange programmes. He has to his credit of having organized several national and international meetings and conferences in India and elsewhere, and had spearheaded the organizing of the World Congress of Pharmaceutical Sciences 2011, 71st International Congress of FIP. He has actively involved himself with the education initiatives of FIP and been an active member of FIP Pharmacy Education Task Force. In recognition of his invaluable services in the field of pharmaceutical education, he is a recipient of several national and international awards. He is the past President of the Indian Pharmaceutical Association. Dr B.Suresh is also the recipient of the presitigious ` Eminent Pharmacist Award` of the Indian Pharmaceutical association, the `ML Shroff award` of the Indian Hospital Pharmacists Association and the `KC Chatterjee award` of the Indian Pharmacy Graduates Association. He has been awarded the fellowship of the Commonwealth Pharmacists Association as the Fellow for the service to the Pharmacy in the commonwealth.